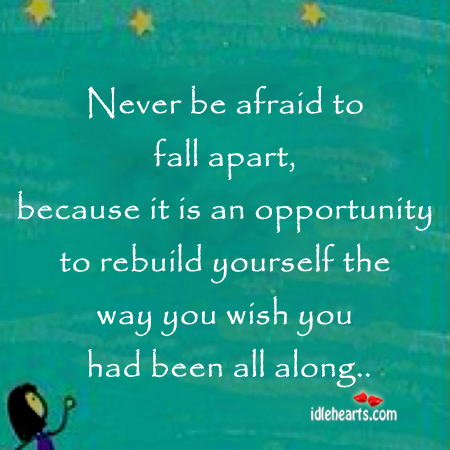 IdleHearts / Picture Quotes / Inspirational Quotes / Failure is simply the opportunity to begin again. 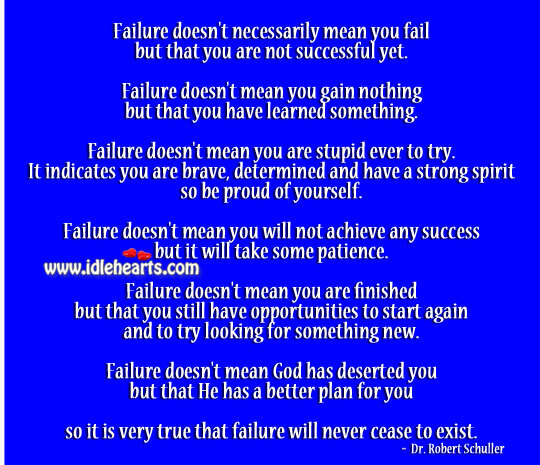 This is an image about 'Failure is simply the opportunity to begin again.' 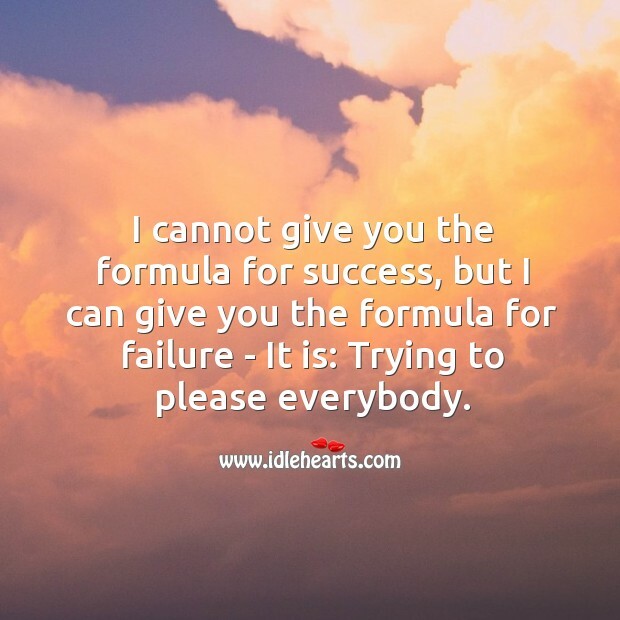 shared in Failure Quotes category. 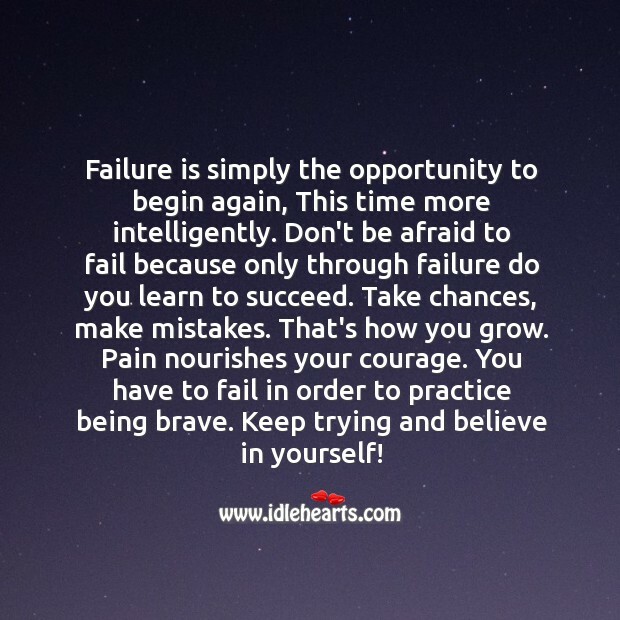 Failure is simply the opportunity to begin again, This time more intelligently. 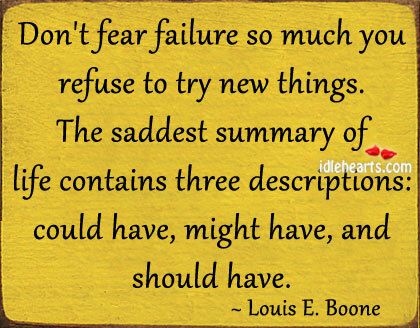 Don’t be afraid to fail because only through failure do you learn to succeed. Take chances, make mistakes. That’s how you grow. Pain nourishes your courage. You have to fail in order to practice being brave. 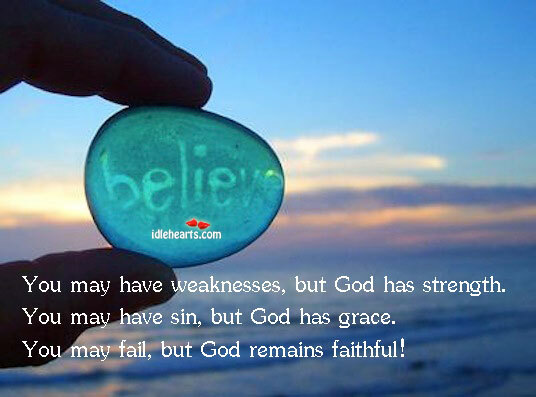 Keep trying and believe in yourself! 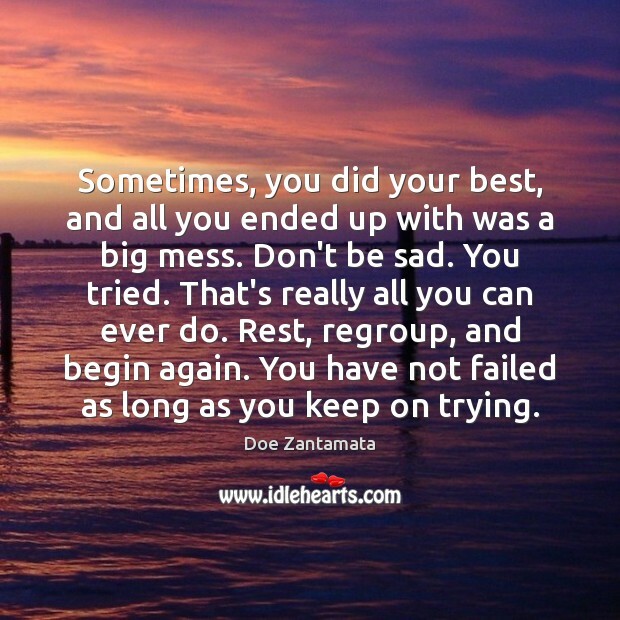 You are not a failure as long as you keep on trying. 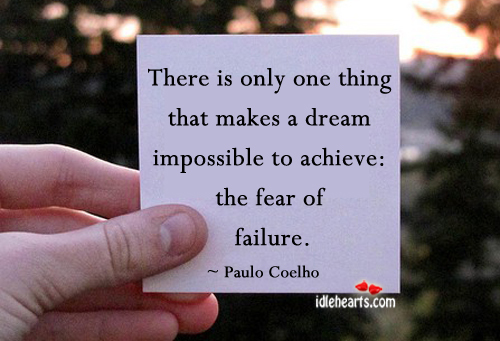 Only fear makes a dream impossible. 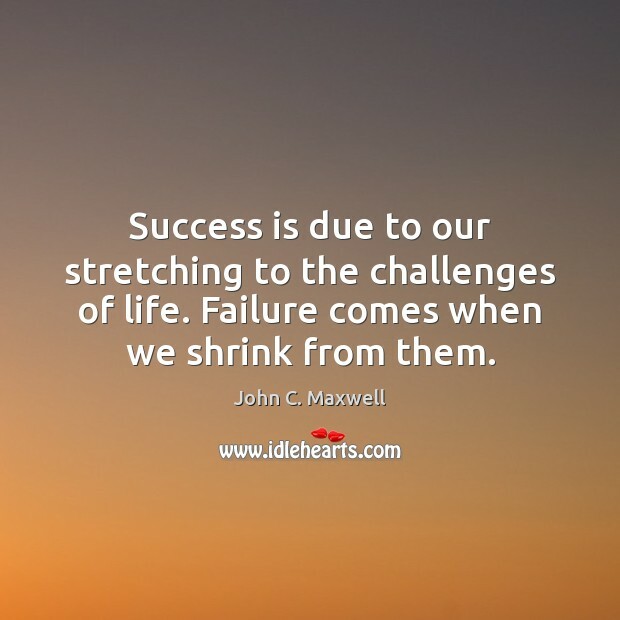 Success is due to our stretching to the challenges of life. 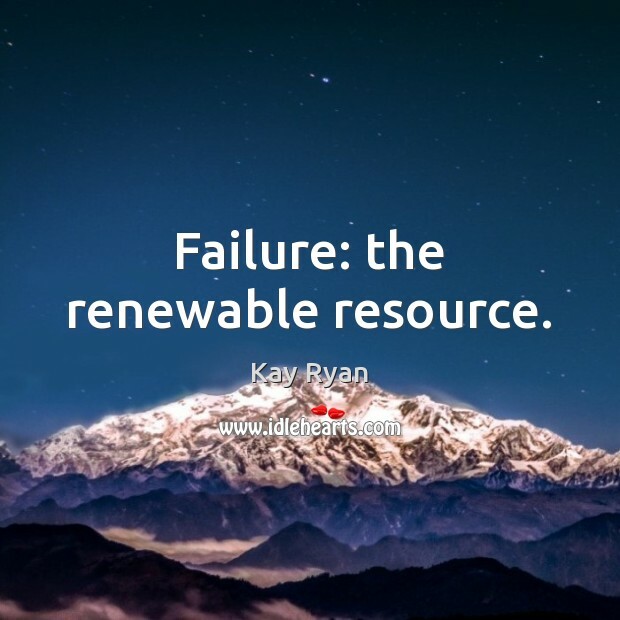 Failure will never cease to exist.